Cash in on the FA Cup 1/32-finals this weekend with the lucrative FA Cup Betting Offer! Bet on Man United v Reading and Liverpool v Plymouth and you could be pocketing up to a whopping £1,000 Free Bet with the FA Cup Betting Offer. 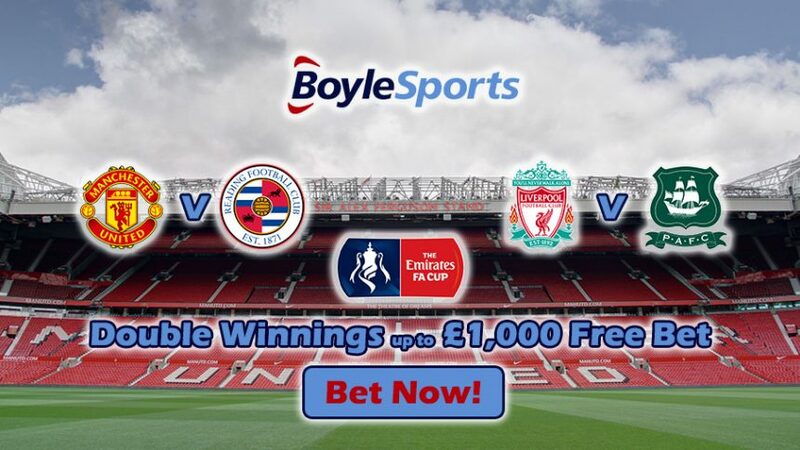 The thrilling cup ties take place this Saturday (Jan 7) and Sunday (Jan 8) respectively, so make sure to join BoyleSports now and place your wagers on the special games that can see you scoop up to £500 in Free Bets each! 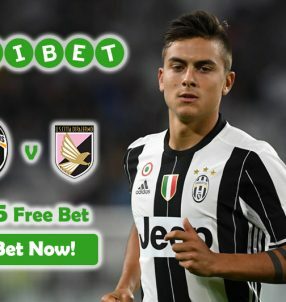 Get the most out of this opportunity by placing the max £25 bet on each game to grab the whole amount of £1,000 in Free Bets. If both of the sides in each game hit the crossbar, you’ll win the cool £1K Free Bet with FA Cup Betting Offer. The best thing about the FA Cup Betting Offer is that it applies to ALL pre-match markets for the select two games. Note: in each of the two respective games, the ball has to hit the crossbar directly and rebound back into active play to qualify for the FA Cup Betting Offer. If the ball happens to hit the side posts, the bet will not count towards the £1,000 Free Bet. We’re backing the Old Trafford side to seal an easy win over their opponents tomorrow, judging by their great form in recent times, which has seen them clinch seven victories in as many games both domestically and overseas. Jose Mourinho’s men have won their last three games at Old Trafford, and we can easily see building on their fine performances in the 1/32-finals of the FA Cup. Bet on this match to win one half of the £500 Free Bet with the FA Cup Betting Offer. Liverpool occupy second position in the league (44 points) after 20 rounds in the English top flight, finding themselves only five points behind leaders Chelsea. Under Jurgen Klopp’s ‘Gegenpressen’ strategy, Liverpool have emerged as serious title contenders, and they harbour the same ambitions when it comes to the FA Cup. 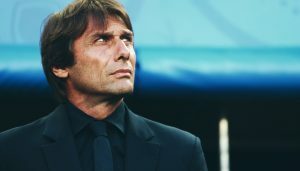 Despite there being a propensity for big sides to field a weaker squad than usual for cup ties – big clubs normally concentrate on keeping important players fresh for the league – we’re guessing the German boss will forgo that approach in efforts to get his hands on as many trophies as possible. That’s why we’re backing the Reds to win with the FA Cup Betting Offer. Get in on the action while the FA Cup Betting Offer is hot! 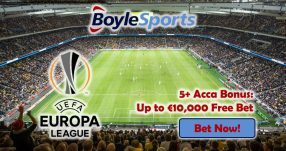 If you haven’t already, use this opportunity to open an account with BoyleSports and bet on two of the most exciting match-ups of the 1/32-finals. 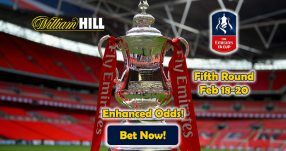 Collect huge winnings with FA Cup Betting Offer!